Franco Lacosta - who eeez he? 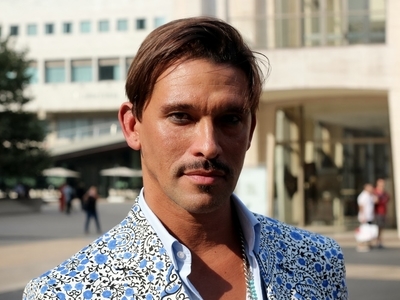 The mustachioed fashion personality shot to fame with appearances on The Bachelor, but has bona fides as a former high fashion male model and a menswear designer in his own right. Celebrate his latest collection alongside Platinum Poire Royale, an invite-only VIP matchmaking service for gay men. (So like, Tom Ford and Anderson Cooper?) RSVP only.